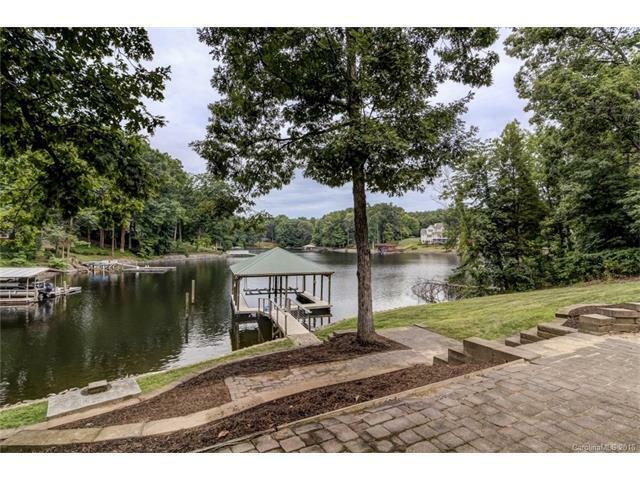 One of a kind WATERFRONT offers lake living at its best. Beautifully renovated home and 1550 sf garage addition (holds 6+ cars) w/ luxurious finished space above to use for parties or 2nd living quarters. It has a gourmet kitchen, hickory floors, beamed ceilings. Main house has open floor plan and water views from most rooms, luxurious master suite, chef's dream kitchen, renovated bathrooms, expansive composite decking, circular drive. Dry sauna. Dock has 2 lifts. Deep water cove.